"Often incorrectly seen as one of the less glamorous STEM areas, studying Electronics can lead to an exciting and creative career, which enables students to make a real difference in the world." 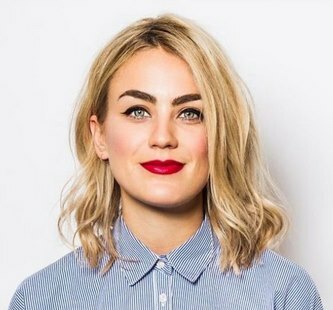 In 2018 the UKESF launched the #TurnOnToElectronics campaign, fronted by Gadget Show presenter Georgie Barrat, which aims to encourage more young people to study and pursue careers in Electronics. The UK has the world’s sixth largest Electronics sector (contributing towards 6% of GDP, over £120 million per year), but only 3,330 UK students enrolled in Electronic and Electrical Engineering degrees in 2017 according to UCAS, less than half the number of those enrolling on Mechanical Engineering degrees. In the face of an increasingly large skills shortage, the campaign is creating a buzz around the UK Electronics industry. #TurnOnToElectronics’ sponsors include leading Electronics organisations such as Arm, Dialog and Qualcomm, along with 21 academic partners including the University of Cambridge, University of Southampton and Imperial College London. Follow #TurnOnToElectronics on Twitter at @TOTElectronics.